Periodontitis is the inflammation around the tooth. Gums pull away from teeth and form spaces, which become infected as bacteria and plaque spreads. Eventually, the bones, gums and tissue that support the teeth are destroyed. As a result, teeth become loose. Gum disease is one of the leading causes of tooth loss and is also frequently linked to the control of diabetes. It is also associated with heart disease and strokes. 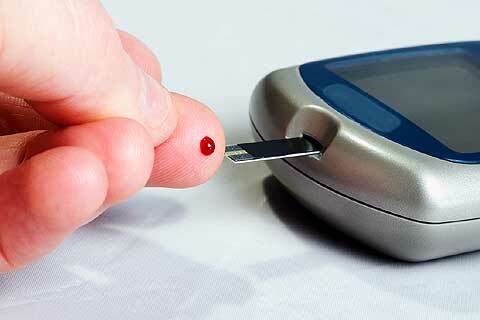 Type 1 diabetes has a sudden onset and occurs usually before the age of 25. It is insulin-dependent. The body makes little or no insulin therefore it is controlled by daily injections of insulin. Type 2 diabetes is far more common than type 1. It has a gradual onset and mainly affects obese middle-aged people. It is noninsulin-dependent. The body does not respond well to insulin. It is controlled by diet and hypoglycemic drugs. Gestational diabetes is high blood glucose that affects pregnant women. Women who have gestational diabetes are at high risk of type 2 diabetes and cardiovascular disease later in life. People with diabetes are more likely to have gum disease than people without diabetes. Periodontitis is also often referred to as the sixth complication of diabetes. This statement is backed by the American Diabetes Association which states on its website that people who have diabetes are at a higher risk for gum problems, and poor blood glucose control makes gum problems more likely. Those people who don’t have their diabetes under control are especially at risk. 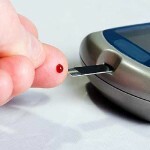 This is because diabetics are more susceptible to contracting infections. Diabetes reduces the body’s resistance to infection by damaging white blood cells, the body’s main defense against infection. This increases the probability of gums being infected. Active destruction of the gum tissues is more likely to occur. The factors most likely to account for this association include impaired host response. High glucose levels in saliva promote growth of bacteria and sets the stage for gum disease. Diabetes slows circulation by causing blood vessels to thicken, which can slow down the flow of nutrients to the mouth and the removal of harmful wastes away from the mouth, which in turn makes the gum tissues more prone to infections. Diabetes mellitus and gum disease show a two-way relationship. Treatment of certain oral conditions, in particular gum disease, has been reported to improve metabolic control in diabetic patients. This is vital for achieving long-term control of diabetes mellitus. The level of glucose control seems to be the key factor. A study that followed diabetic and non-diabetic patients for 3 years revealed that the gum health of well-controlled diabetic patients is similar to that in the non-diabetic patient. The poorly controlled diabetic patients had more attachment loss and were more likely to exhibit recurrent gum disease. All in all, we can conclude that prevention and control of gum disease must be considered an integral part of diabetes control. Another study found that smoking increases the risk of gum disease by nearly 10 times in diabetic patients. According to these results, the management of diabetic patients should include strong recommendations to quit smoking.